The Hendershott Construction company was built and organized by my father A. W. “Buck” Hendershott a Seabee during WWII he built runway’s to Tokyo, and then built shopping centers, homes, and office building’s in the 1950-60’s when America moved from the Farm and Main street to the suburbs. 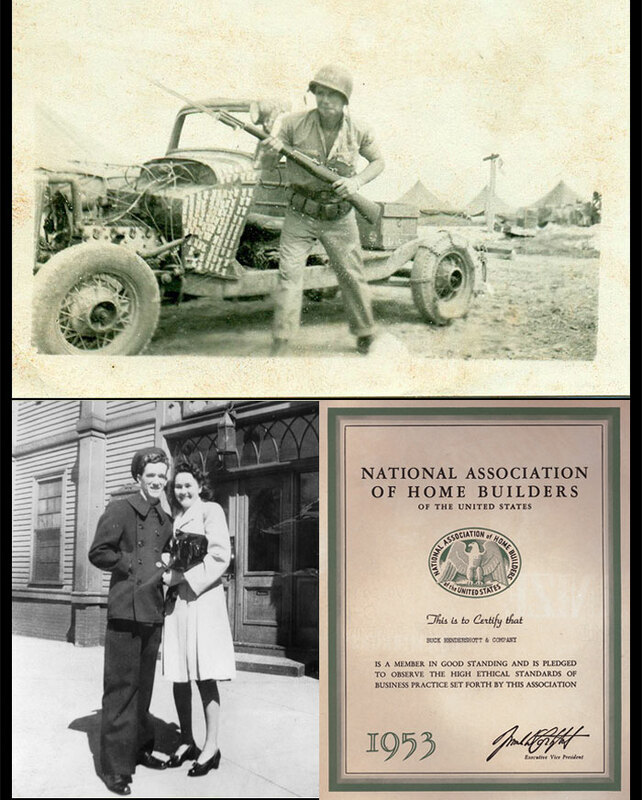 He was the first contractor for Acoustical Ceilings in America and his career in construction began with the Civil Conservation Corps (CCC’s) during the Depression when President Roosevelt created the WPA to provide jobs in the 1930’s when no one had an opportunity. 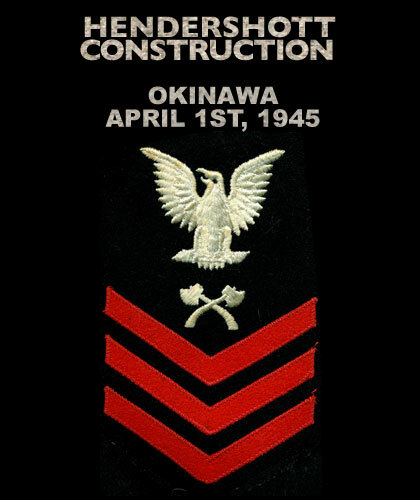 In 1941 after the Japanese attacked Pearl Harbor he left the CCC’s and volunteered in the US Navy as a CB (Construction Battalion) and married my mom Anna Terry, before he went off to war in the South Pacific. He took part in the beachhead landing with the 2nd US Marines on Okinawa on April 1st, 1945. Transcripts from his battlefield diary are below (please click to read).